The debate over the spread of short-term holiday lets and the restriction on it – or lack of them – has quietened down a little in NSW with the announcement of the new laws. But the battle rages on elsewhere. 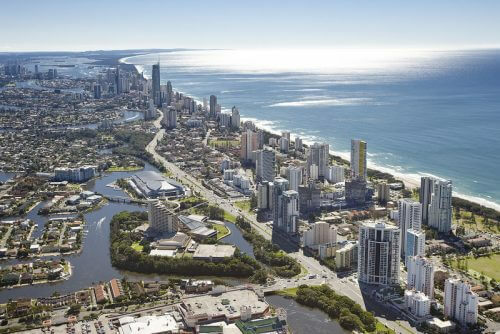 For instance, apartment owners in Queensland are getting agitated about the untrammelled spread of holiday lets in the sunshine state. This came as a bit of a surprise because holiday lets in apartment blocks have been part of the landscape there since the Year Dot. But, of course, back in the Year Dot, there wasn’t the internet allowing everybody and his brother to become holiday letting landlords just by switching on their computers. Predictably, now that resident owners are trying to get local councils to enforce their own by-laws, the squeals from the holiday letting lobbyists and their fellow travellers can be heard far and wide. Equally foreseeable, the pliable Press goes along with the notion that it’s the planning law breakers who are the victims and the homeowners who just want to live in a residential building who are the troublemakers, if THIS STORY from the Gold Coast Bulletin is anything to go by. 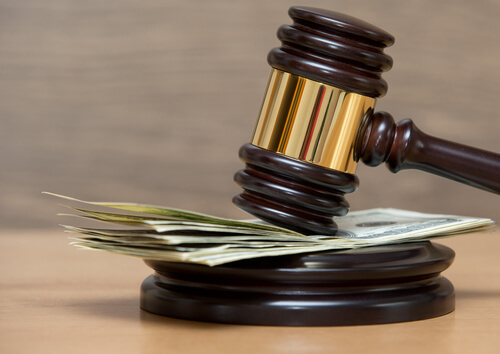 The Unit Owners in Queensland have had some success – persuading the Ombudsman there to force a reluctant Brisbane City Council to prosecute an apartment over for illegal use of premises. 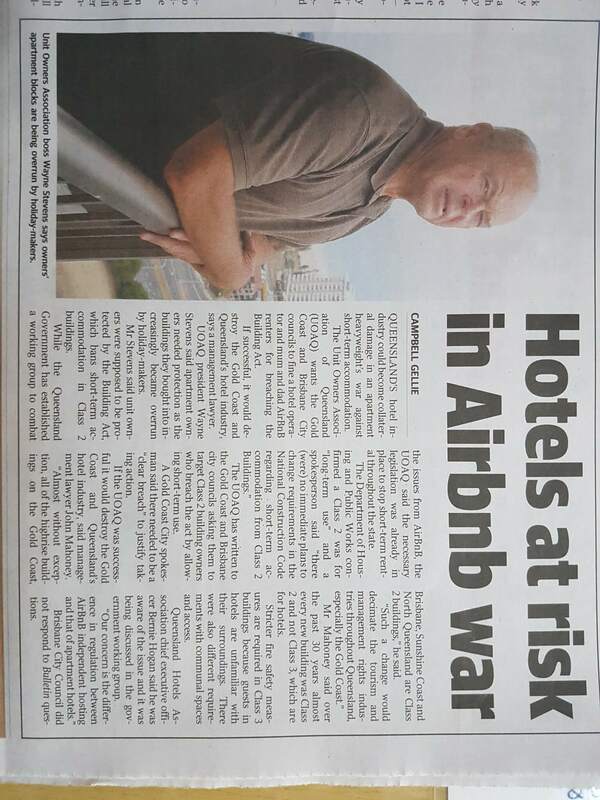 But you can’t do that on a unit by unit basis and Airbnb is lobbying hard to get the law changed in its favour. 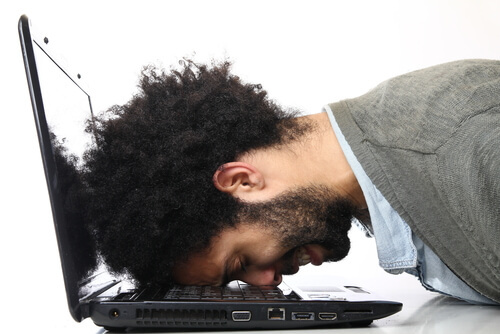 Of course, Australia isn’t the only country to feel the weight of internet holiday lets descend upon it. We were overseas recently and our travels took us to Edinburgh, the Scottish capital and one of the great tourist attractions of the UK – even when the Festival and Tattoo aren’t on. The streets were swarming with visitors, especially around the fabulous castle, and all the talk among locals was of Airbnb. People were letting out rooms in their own homes (the genuine and original Airbnb model) while quietly concerned about the number of whole apartments and townhouses that were being let to tourists. 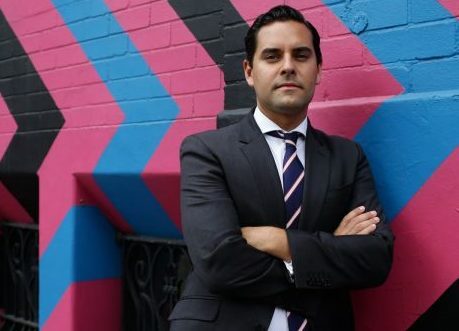 There fears that the majority of homes in certain streets were gradually being given over to short-term holiday lets and I was asked by leading business journalist Kenny Kemp if we had a similar problem in Sydney. Do we ever? 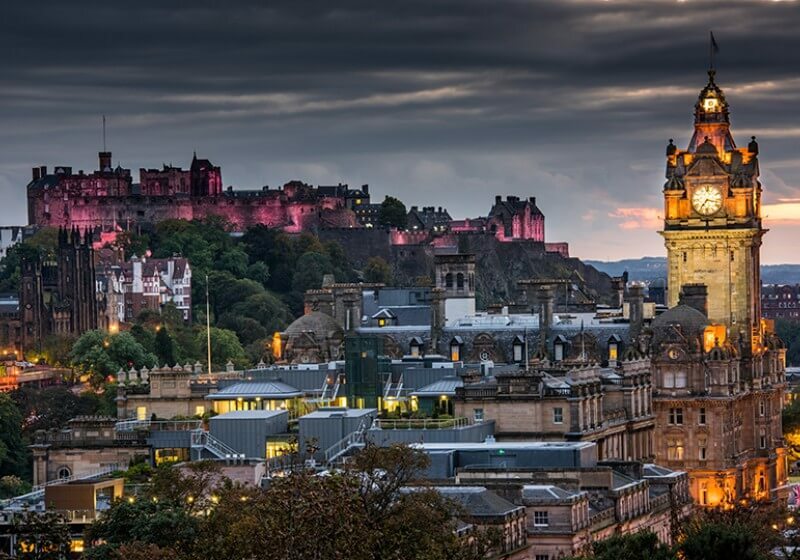 The resulting discussion and Kenny’s subsequent investigations revealed that Edinburgh is about to crack down on holiday lets in residential homes … and Airbnb is happy to accept a limit of 90 days if they can get away with it. Ninety days? They almost got a clear run here and that was only reluctantly pegged back to 180 days when backbench state MPs threatened a revolt. You can read a copy of the Sunday Times article by looking at THIS IMAGE. 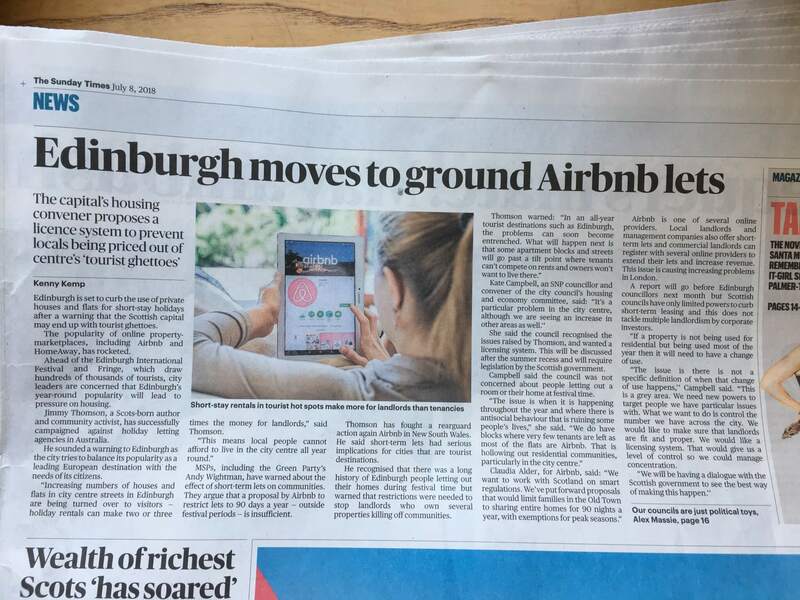 In it, Edinburgh’s Housing supremo flags a licensing system and tight restrictions (you know, the kind of thing that would have allegedly destroyed tourism if it had been allowed here). By the way, I’m apparently now a “community activist”. Ah well, there goes the Order of Australia. Previous Previous post: Shock of the new – is your block ready for electric cars?